There are different exercises to reduce belly fat fast, some of them are very effective and efficient to get desired results within weeks. The obese people have high waist level and it is difficult for them to fit into the normal size number. Do you want to remove belly fat? Of course, your answer will in yes. Keeping your body level according to desire is a challenge especially when too much fat accumulated in the tummy area. In this situation, everybody will like to get rid of the extra accumulated fat from the belly. In order to adapt yourself to the new figure, you need to make some changes to your lifestyle like you need to adopt a well-planned diet, join a gym for cardio and muscle building workout. However, I am going to describe here some exercises relating to losing belly in size and weight. How To Lose Belly By Best Exercises? Crunches are the best exercise to lose belly fat fast. Do these exercises to get quick results. These exercises can be done at home or gym both, you’ve no need for any special equipment to do this exercise. Crunches are the faster way to burn the belly fat For melting fat the crunches stands at the number one position. Let us perform this exercise without wasting the time. Lay down on the mat with leaning down your knees by keeping feet on the ground, now start pulling up your legs at the 90-degree angle from the floor. Please see the picture of how to perform crunches. Place your hands on the back of your head calmly. You can also place your hands on your chest by crossing. Exhale, when you push up the above torso from the floor. When back down Inhale again and while pushing up exhale. As a newbie do this exercise 10 times in 2 to 3 sets. Side Crunch and Shoulder Press, Butterfly Crunch, and Dumbbell crossover punch. During exercise, push up your back with full care up to a few inches from the mat. In this way, you protect yourself from severe damage. One more thing to follow is to fix your head (no jerk). It can create pain in the neck due to pressure. 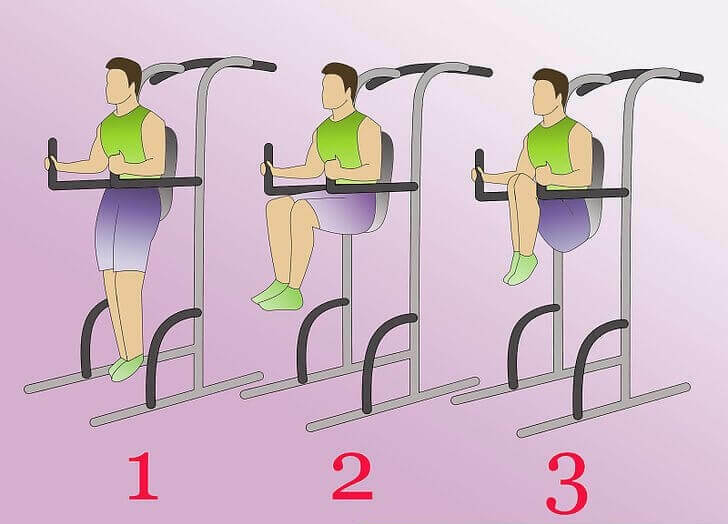 Fruitful Information: While sitting up no need to straighten yourself when you are lifting your torso. The angle of a back with the floor should be between thirty to 40 degrees. In this way, the way you can feel stress on your abdominal muscles. 2 What are Twist Crunches? When you become habitual to the regular crunches then start with twist crunches. This is more effective exercise for belly weight loses in contrast to regular crunches. Lay down on the clean mat or floor/grass by closing down your both hands behind your or in front of the chest. By staying your feet on the ground or floor warp your knees same like as you did in the regular crunches. Pull up your right shoulder in the direction of left shoulder with the lifting of a torso, fix your left side on the mat or ground. 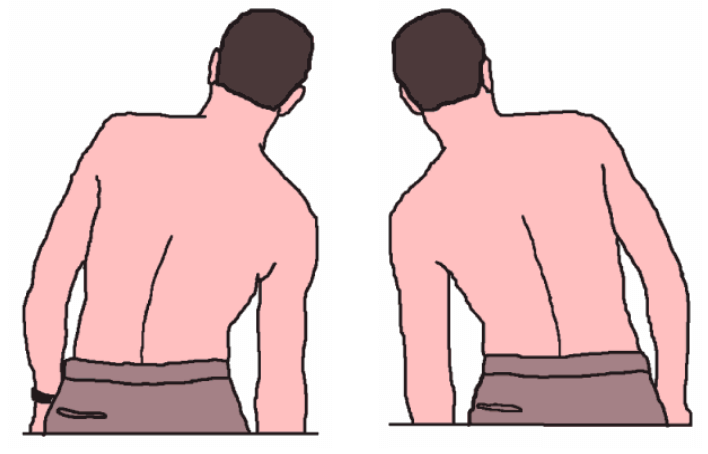 Reversely do this exercise by pushing up left shoulder towards the right shoulder. Total 3 to 4 sets and each includes of reps from 8 to 12. 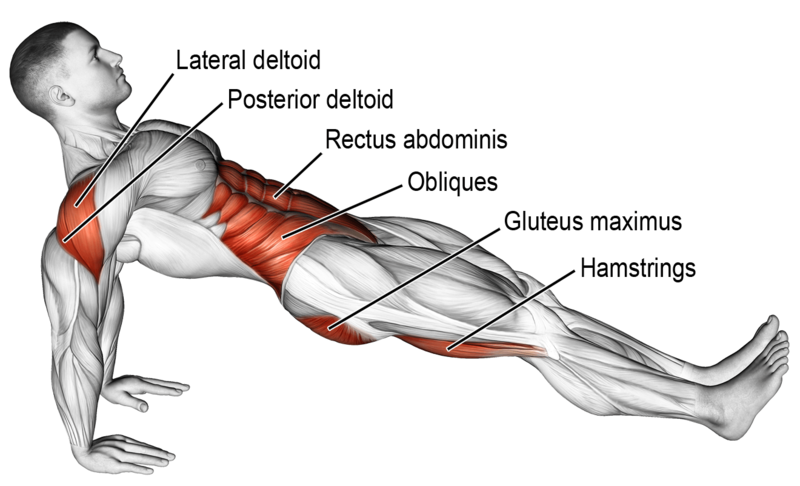 3 What Do Side Crunches Do For You? There is no too much difference between the twisting crunch and side crunch. The moving of the legs into sloping position is the only difference of this exercise with the twisting crunch. Try to do this exercise slowly and steadily. If you are performing this exercise in a hurry then the chances of the midsections problems or damage. 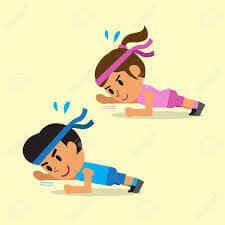 4 What Is A Reverse Plank? Reverse crunch is the 4th variation exercise in the range of crunches. It is a good exercise that focuses on your tummy muscles and causes to melt fat. If you compare this exercise with Twist crunch then there is no great variation except both legs pulling up in a sloping direction towards the shoulders. Your sides muscles are being focused on this exercise. Perform this carefully while straightening your back can cause pain or serious damages or injury for you. 5 What Is a Vertical Leg Crunch To Lose Belly Fat? Lay down carefully on the flat yoga mat or on the clean floor. You need to cross one leg on the other leg by pulling up from the floor. Pose yourself the same as in the above picture. 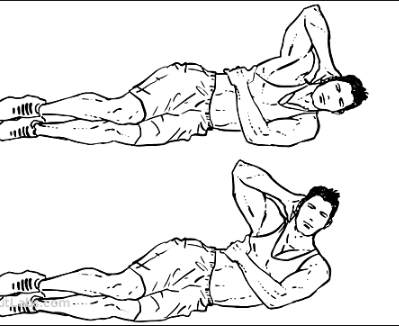 By positioning and posturing your body in the right direction as shown in the above picture do this exercise the same like as did in the crunches. Your hands should be behind your head and move up your upper body part to the desired extent and start breathing in and out. Need to perform 12 to 15 reps in each set, total of 3 sets need to be done. Only start with a few reps of this exercise because it can make you upset or angry. 6 Is Cycling Good For Losing Belly Fat? No need to have a bicycle under your hips. Just imagine how to do it? Lay down on the floor and keep your hands on both sides of the year by getting out your elbows. Push up your both legs and lean down your knees. Keep away your left leg and try to take near the right knee to the chest. Now repeat this exercise by taking away the right leg and close to left knee chest. Continue to do this, just like you are running a bicycle. 7 How Do You Do Lunge Twist To Lose Belly Fat? If you are a newbie then this exercise is good to reduce your belly fat. In a standing position, there should be sufficient distance between your both leg as it is shown by the above pic. Also bent your body little. Try to straighten your hands in front of you. Your hands should be in a parallel direction to the ground and lift them up equal to your shoulders. Your back should be straight, means no bend in your spine. First, move your torso to the left and then to the right. Repeat this exercise minimum 12 to Maximum 16 times. 8 How Do You Do A Rolling Plank? This exercise is effective for your back, abdomen, and hip. Put your elbows and knees on the ground or yoga matt in the resting position. Your spine should be aligned with your neck or vice versa. By supporting your legs with your toes, Slowly move up your knees. You need to stay in this posture for 30 seconds. 9 Can You Lose Belly Fat By Stomach Vacuum? This exercise doesn’t increase your heart rate but put stress on the breathing. 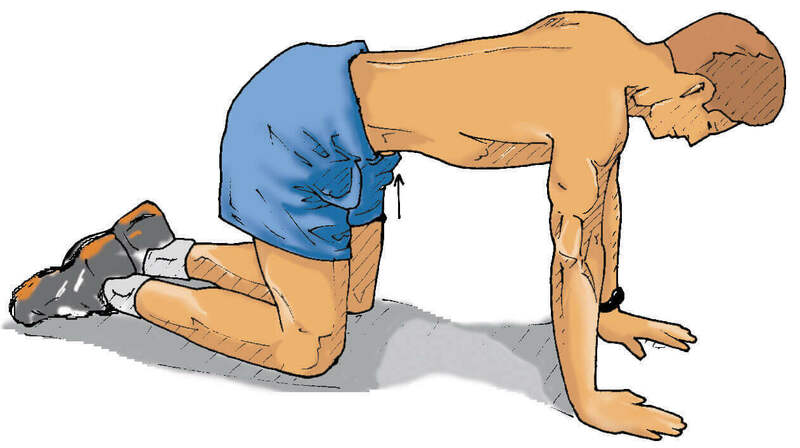 In this exercise, you need to posture like a cat. This exercise can be performed in the following way. Put your hands on the ground and bend down your body in cat posture as you can see in the picture. By contracting your abdomen Inhale deeply. Try to tighten your abdominal muscles when breathing out. Keep yourself in this position for a minimum of 15 to a maximum of 30 seconds. Imagine yourself that you are sitting on a chair. Now breathe in with your nose. by contracting abs exhales for the minimum five times. You can repeat this exercise minimum for five times. Pelvic tilts are a third type of exercise to lose belly fat. Lean down your knees by standing on legs. By contracting your tummy in the direction of spine inhale deeply and roll out your hips. Do At Least Six Sets. Please, no need to do this exercise if you have any kind of lung or heart ailment. Before performing this exercise make sure that your stomach is empty. You can be struck with indigestion if your stomach is not empty. 10 What Is a Captain’s Chair Exercise? In order to perform this exercise, you need only a captain chair. While sitting on the chair, keep your spine straighten and your shoulders must be in a relaxed mood. See downward by facing in the direction of the ground or floor. Keep your hands in the downward direction besides your hips. Inhale deeply. While breathing out, pull up your legs and bring your knees near to the chest. Do this exercise for 5 seconds. Slowly lift off your legs and repeat it. It is the best aerobic exercise to reduce tummy fatness. Stand yourself in the straight position on your feet and keep your hand’s palms on your knees near to hips on both sides. Now move down your body same like as in the above picture in the right way so that your left side feels stress or strain. Raise your left hand up and right hand should be placed on the right knee or hip. Keep yourself in this position for fifteen seconds. Now straighten your body in the original position and do this exercise on the left side. For beginners, it is hard to position this exercise for 30 seconds but try it for a longer time. Cardio exercises are best to lose belly flab and consume a lot of body calories. Cardio exercises help you with proper sleep and minimize your mental and body stress. These exercise plays a vital role to keep you fit. 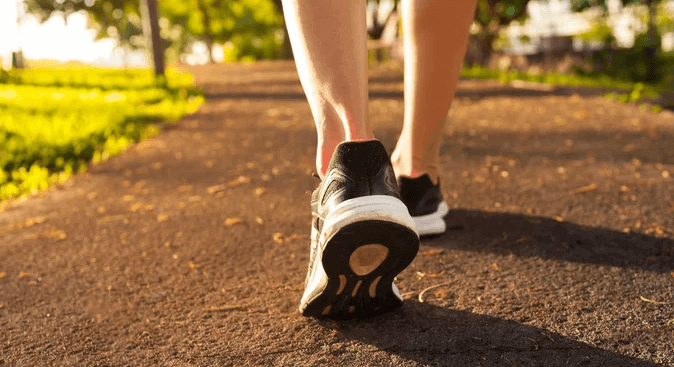 1 Can You Lose Belly Fat By Walking? Yes, Why not? You can lose belly fat by walking daily. Daily walk between 25 to 50 minutes and add good diet with it can help you reduce weight fastly. Fix any five days for in week for this cardio exercise. It is good to walk early in the morning. The walking on the beach or in the nearby garden is very effective for health. 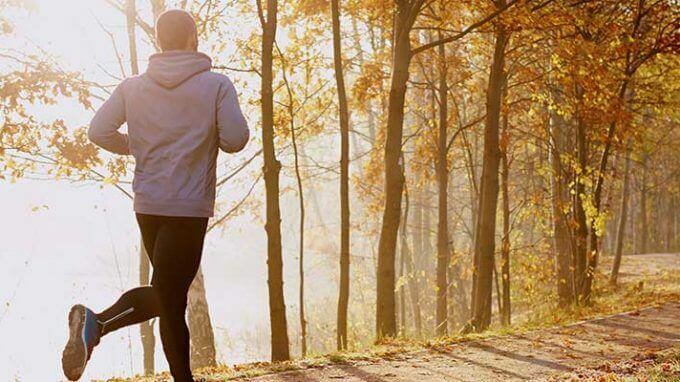 This cardio exercise increases your heartbeat and efficiency of metabolism. As you are walking, so it is not a dangerous exercise where the injury chances are more. No different body positions and postures are required for this exercise. You can easily do it without any expense and equipment. 2 Is Running Enough To Lose Belly Fat? Yes it is true running is enough to lose belly fat but if you are doing other exercises with running then it would be an added advantage for to lose belly fat. Running helps to boost heart rate, burn calories by burning fat and keep you strong and active. 3 Can Jogging Lose Belly Fat? Jogging means running with very slow speed but it is faster than walking. Yes, Jogging helps to melt flab. Jogging breakdowns the accumulated fat and the best exercise to lose the belly. 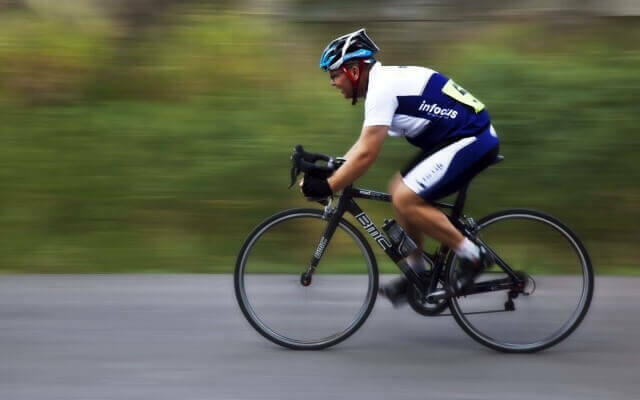 Yes, cycling increase your heartbeat level and in this way lose tummy flab. If you have your own cycle for your daily traveling then it will easy for you to lose belly fat. There is no need to join the gym for cycling if you have your own cycle as a primary vehicle. 5 Is Swimming A Good Way To Lose Weight? If you are looking for toning and also some cardio benefits then swimming is the best exercise for your body. It is better to swim a minimum 1 or maximum 2 times in a week.